Why not take advantage of this great Slide and Castle Package providing a great saving on the usual prices. An alternative to just a Bouncy Castle, or just a Slide is this great Package appealing to all ages. 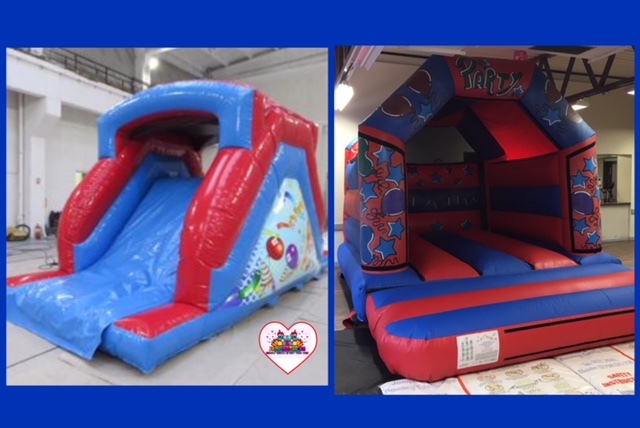 These are fantastic Inflatables for Adults and Children's parties! Hire for a Corporate Event, Fete, or just a special occasion. With its great themed artwork, it is bright and bold, sure to be a winning addition to your day. This Inflatable is suitable for indoor or outdoor hire and on grass, tarmac or concrete.